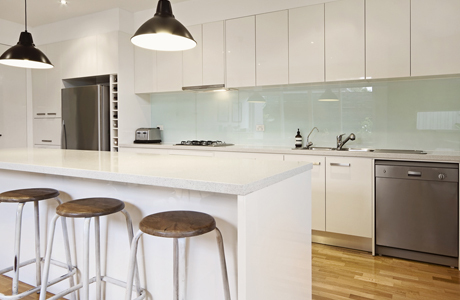 We are thrilled to announce the launch of a revolutionary range of aluminium-based splashbacks, AluSplash. 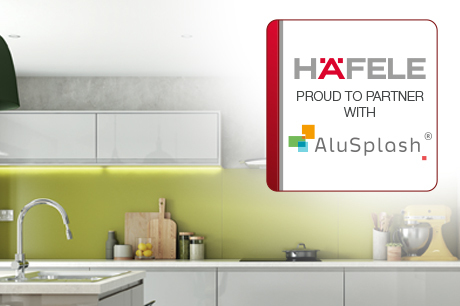 AluSplash, exclusively distributed through Häfele in the UK, is a cost-effective alternative to glass that can be fitted behind a hob, bent around corners, and installed with ease. 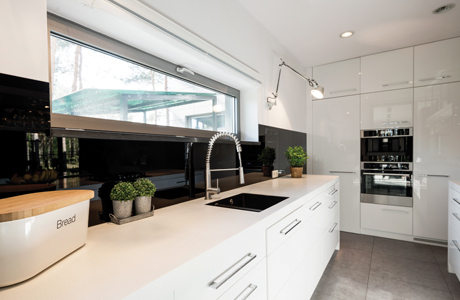 This innovative splashback can create a seamless run of colour in the kitchen whilst providing a smooth, high gloss finish. 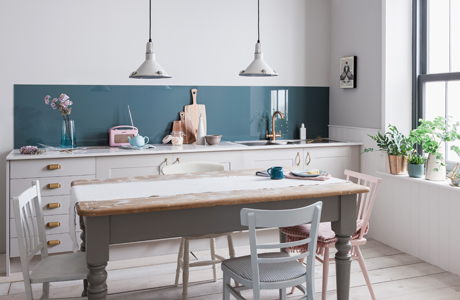 Available in a range of highly desirable on-trend colours, AluSplash is exceptionally durable and has been FIRA tested to ensure safe use behind all cooktops. Installation of AluSplash is easy, especially with the standard fitters’ kit, also available from Häfele, eliminating the need for a specialist. You can view our installation video playlist here. AluSplash is a particularly eco-friendly solution, an ever-increasingly important consideration for both domestic and commercial customers. Not only is AluSplash 100% recyclable, the manufacturing process also involves less energy than the production of glass alternatives. 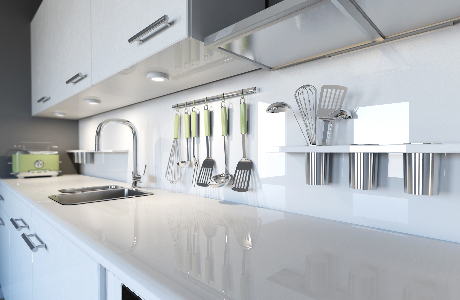 We are thrilled that the revolutionary innovation behind AluSplash has been recognised through its nomination in the Kitchen Product Innovation of the Year category at the 2019 kbbreview Retail & Design Awards. Find out more about this here. Click below to go to be taken to the product page, or click here to find out more about AluSplash.